They likely brought the vinyl records to the show. (09-04-2017, 03:06 PM)Tusk Wrote: I thought the 45 was part of some kind of framing, but John's right, it's a separate 45, so there's also a chance she bought "For What it's Worth"
LOL talk about synchronicity... just as I was typing this, Ken Smith texted me to confirm Haley indeed bought "For What it's Worth" 45 rpm. Ken likes to travel to see older singers as well, recently saw James Taylor and Bonnie Raitt. A happy coincidence he went to this show and Haley and Drew were at the front of the line to get autographs. CSNY started out as CSN, with Young soon added. The first big name concert I went to was in Dec. 1969 -- CSNY at the Masonic auditorium in Detroit. CSN started the show then brought out Neil Young. For an encore they brought out their friend, Joni Mitchell to join in. This was a very early performance of the song -- Woodstock was in Aug. 1969, so this was only 4 months later (to the day). One of my memories from that night is all the Hare Krishna folks outside the venue. @HaleyReinhart since you're not performing, any suggestions what to do in LA tonight? Early as all hell too. Chicago Bound. Had quite the night in LA tho. No cams allowed. So basically stuff like me at the piano in a packed room having a street corner Love shout out exchange with Al Pacino, getting down about the legacy with Samuel L. , escorting/jiving with Childish Gambino/Donald Glover to the stage, rocking Smells Like Teen Spirit in front of Cicely Tyson, re-reconnecting with Rosario, reminiscing about Greenwich Connecticut performances with Susan Sarandon, a quick goodbye to Mariah and P Diddy and sharing an Escalade off Tyler Perry's compound with Magic Johnson. Maliboo peeped and experienced the whole thing with a dress on that Ms Universe had decided to try and rock but not like the Boo tho. Donald Glover (Childish Gambino) just won two Emmy awards. Quote: On Sunday night, show star and creator Donald Glover broke new ground by becoming the first black person to win the best-directing comedy award. The night only picked up from there, with Glover, who was nominated in four categories, also picking up the best actor in a comedy prize. Atlanta, a genre-bending comedy that was unafraid to veer into surreal, dramatic territory, was a crowd favorite at the Emmys this year, nominated for six awards overall. I wonder if Haley's connection to the animation world and/or her showcase concert in LA had anything to do with her invite to the Tyler Perry party. I wonder how big her role was, and who she performed with. this party is POPPIN'!!! Every amazing musical artist as well as actor you can imagine and they are all having good clean fun. jammin on great music. 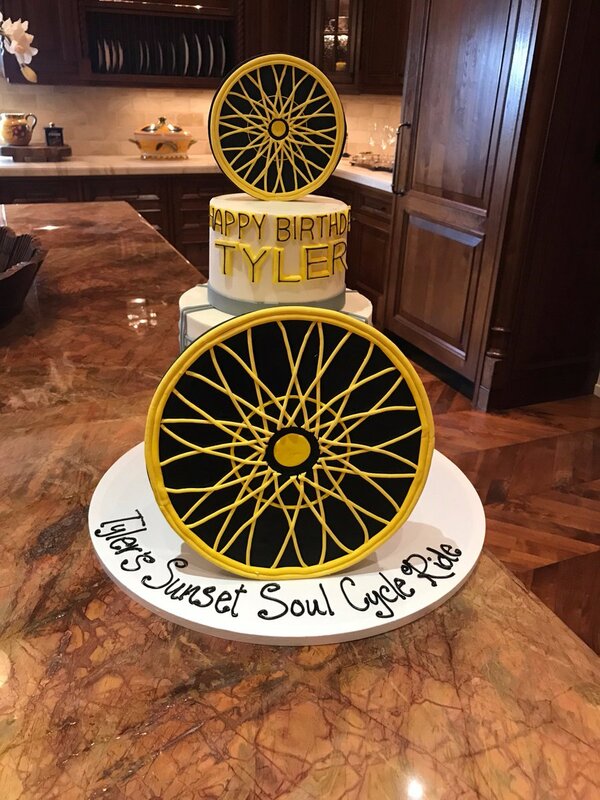 I was told that Tyler literally said this was his best bday party ever! (09-18-2017, 01:38 AM)john Wrote: I wonder if Haley's connection to the animation world and/or her showcase concert in LA had anything to do with her invite to the Tyler Perry party. Birthday Sunset @soulcycle ride. Thanks @shapewithangela & all my soul brothers & sisters who rode last night. Thanks @soulcycle, God bless.